The San Francisco Chronicle reports that Sonia Orbuch, née Sarah Shainwald, a Polish-born Jewish author and public speaker who fought the Nazis as a teen throughout the Holocaust, passed away last Sunday. She was 93. Sonia’s story of hardship and survival–one of some 20,0000-30,000 Jews who fought in resistance groups during World War II–has been documented by several historical societies. At age 16, in 1941, she fled with her family to a forest after Nazis began executing Jews in her hometown of Luboml. With her parents and uncle, and aided by a local peasant, Sonia endured long stretches in freezing temperatures. From both sides there was shooting. I didn’t even bend down my head, I wasn’t worried that I would going to get killed. If I was going to get killed I was going to get killed as a fighter, not because I am a Jew. So that, that itself gave us strength to go on. This was the mentality of people who went through all these atrocities in the ghettos. Her uncle was killed in combat, and after the resistance fighters joined the Red Army in 1944, Sonia and her parents fled to a deserted village where her mother died of typhus. Her brother, who had split from the family early on to join a partisan group which only took young men, was also lost in the war. In 1945, Sonia and her father moved back to her hometown only to find it largely abandoned. 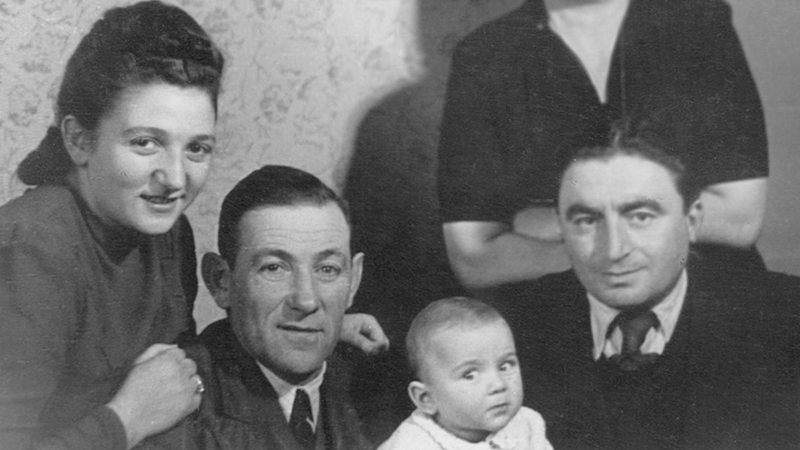 Soon after, she married Polish cavalry officer Isaak Orbuch and attempted to leave Soviet-occupied Poland for American-occupied Germany; they spent four years in a refugee camp where she gave birth to her daughter before finally emigrating to New York in 1949, where they had a son. They moved to California in 1960 after her husband was diagnosed with Parkinson’s disease, and she cared for him there for the next 38 years. In 2009, she authored the memoire Here, There Are No Sarahs. The family asks that memorial contributions be made to the Jewish Partisan Educational Foundation, which Sonia helped to found in order to educate students about the lesser-known history of Jewish resistance fighters. Donations may be made to the Jewish Partisan Educational Foundation, 2245 Post Street, Suite 204, San Francisco, CA 94115.